Since 2003, Relevant Magazine has been one of the most popular Christian publications for teenagers and young adults. Not only does Relevant produce a successful magazine but they also release weekly podcasts. One of the hosts of this podcast is Eddie Kaufholz, who has been a part of the weekly show for a year and a half. Eddie also works with International Justice Mission. With January being Human Trafficking Awareness month, Eddie and I talked about various ways people can get involved! Check it out! Gabe: How long have you been with Relevant? Eddie: Well, I have been on the Relevant podcast about a year and a half at this point. I’ve been writing for their online site for about a year as well. It was kind of a fun, happy accident that I got to be on the podcast but I love it and the people here are great. It is such a cool opportunity. Gabe: Has the podcast been going on since the beginning of Relevant? Eddie: The podcast, I think, is about 10 years old. It’s been around a lot longer than I have been with the show. That’s one of the cool opportunities of being a part of the podcast. I got to hop on and ride the wave that already started long before me. There has been so much great content and so many people that have been on the show longer than me. Jesse Carey, who people love, has been on the show since the very early days. Obviously Cameron Strang has been their since day 1. Chad Snavely has been on it for about 5 years. So yeah, it’s been a very long running podcast. It was a podcast before podcasts were cool! Gabe: Yeah… it was a podcast before podcasts were even a thing! Eddie: Well, Cameron Strang, who dreamed up the idea of Relevant, is very technology forward. He has a really good and keen eye of seeing something on the horizon and realizing it’s going to be a thing. Like for instance, with Relevant Magazine, the tablet edition that you can read on your iPad. There was a tablet edition before everyone was doing a tablet edition. And so it’s the same with the podcast. There were no podcasts around. Now that everyone has been listening to Serial, Marc Maron, and all those really big popular podcasts… They’re realizing that we’ve been here for a really long time. So it’s fun to be a part of a long lineage of a really successful show. Gabe: Of all the guests that you’ve had, who has been some of your favorites? Eddie: Wow…That’s a really good question. That’s the really neat part of getting to be on the show. My role on the show is to get to interview pastors. When Cameron approached me and asked me if I wanted to be on the show, one of the things that he said was ‘you are going to get to interview some of your heroes’. And I just thought ‘no way’ but indeed I have. By far, one of my longtime heroes is a theologian named N.T. Wright. For those that don’t know, he’s one of the world’s preeminent New Testament theologians. He’s not just a brilliant writer but he’s also an accessible writer. So for a guy like me that might not have a brain like N.T. Wright, he still writes in a way that I’m able to access the thinking of N.T. Wright. So I was able to interview him and that was a really thrilling moment. I’ve also gotten to speak with Rob Bell. 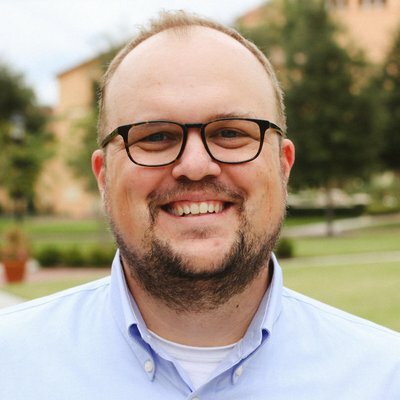 I’ve gotten to speak with Josh Dubois who was the former spiritual adviser to President Obama. It was cool to speak to a guy (Dubois) who had a front row seat to history. I have spoken with Blake Mycoskie, the guy who founded Toms shoes. There’s so many people! It’s been so interesting to meet all of them. Oh, and a cool perk of the job is you get all the books that they’ve written! Gabe: So how long have you been involved with the International Justice Mission (IJM)? Eddie: I’ve been on staff with International Justice Mission for only about 6 months. But about 2 years ago, I heard about IJM at our church and heard about the work they were doing. I knew they were doing really groundbreaking stuff in the area of ending violence, protecting people from the threat of violence, and proving that justice for the poor is possible. I had heard about IJM for a long time…But about 2 years ago, a man came to our church and gave a great sermon on the reality that there are 30 million people in the world right now that are enslaved. And he showed us what that looks like. He showed us pictures of these people and told us the stories of these people. Then he dug into scripture and said “Hey, God cares about these people. God cares deeply about this. And God’s plan for fixing this is you”. “You are the light of the world”…It’s not “you can be” or “I hope you are”…It’s “You are the light of the world.” And there’s many ways you can engage in this. One of the ways that you can help these 30 million people is by engaging in IJM and being a part of what we’re doing. After that sermon, I just knew that I was going to be involved with IJM. About a year and a half later, an employment opportunity came up where I now get to do what that pastor did. I get to go to different churches predominantly in the Southeast. I go to different churches and I tell people “Here’s the reality: There is slavery in the world. Here’s what God says. Here’s what you can do.” So, I absolutely have the greatest job of all time. Gabe: What are ways that people can get involved? Eddie: There are a lot of ways that people can get involved. The first thing I ask people to do is start searching the Scriptures. Ask the question: Does God care about people who are suffering at the hands of an oppressor? Does God care about that? Search the scripture. The answer is yes. I think the first thing I want people to do is be Biblically convicted about that. A good starting point for that is a book called The Good News about Injustice. It’s a funny title for a book but the good news about injustice is that God does care very very much. This book walks through the scriptural foundation and our Biblical mandate to do justice. The heart behind Micah 6:8: Do Justice. So the first thing is to develop that internal conviction. You might not know how to help at that point but you at least know that you need to help. Then, I would get involved with one of the great organizations that are working in this sphere. There’s World Vision and A21. If they want to know more about IJM, I would ask them to go to IJM.org. And then there’s a little button at the top that says “Get Involved”. There are things that you can do that matter deeply. Primarily, praying intently for the folks that are suffering. Praying for their rescue, praying for the wisdom that are working to aid in that rescue, and praying that God would help us understand how to eradicate slavery in our generation. So that’s the second thing. Study scripture and then pray about it. The third thing is go to IJM.org and see what you can do. You can advocate. You can fundraise. You can come work for us or be an intern for us. There are a lot of ways you can get involved. I think sometimes when we think “what can I do?”… When you really start to think it’s easy to think “Holy smokes, there’s at least 30 million slaves in the world today? What can I do as one person?” And the answer to that is: you can do something. And that matters! Your prayers matter. Giving 25 bucks to an organization, where the money goes directly into the field, matters. 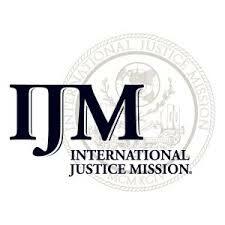 Giving 25 bucks to International Justice Mission matters. It matters for a person that is going through a very difficult situation. Volunteering your time, working, giving your career, fundraising, using your voice, using your Instagram and Facebook feeds… It really does matter. Because what’s happening now is enough of us are realizing now “hey, this really does matter”. It’s not just a couple people trying to start a movement. It’s hundreds of thousands of people doing those incremental things. People are being rescued every day all the time. So, I would encourage people to read scripture, pray diligently, and then go to one of the organizations that you find that is doing great work locally and globally. And just take a step! Gabe: So… Jesus Freak is 20 years old this year this fall. Is that not incredible? Eddie: Super exciting! Now listen, on the Relevant podcast, I talk a lot about a dc Talk reunion. And it’s not a joke. I love these guys! I love their music. It was the first band that was a group of believers that I actually listened to. It was the first time I realized that music could have an element of faith attached to it. And it was so good! 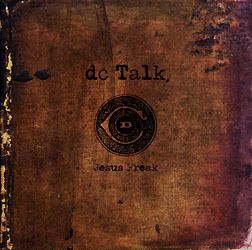 And Jesus Freak was that album! I remember hearing the song Jesus Freak and just saying “this is actually really good music and I am completely resonating with this message.” And it feels like it was just yesterday. But it was actually a long time ago! Gabe: Did you know that Jesus Freak was the most requested song on Air 1 last year?! Eddie: That’s insane! Those guys have staying power. Gabe: Tell me about it! So do you think they’ll do anything special this year for the 20th anniversary of Jesus Freak? Eddie: I think it’s in the water! You would know better than anyone, it seems like there’s something brewing. To answer your question directly: yes. I think they will. I have no special insider knowledge but I do know that those guys all really care for each other. If nothing else, they’re realizing people still really love that music. We really think the guys are talented. It’s not ironic. We’d like to see you perform again. So I think there is some way it can happen that is honoring to the guys that made it very successful as 3 solo artists but at the same time is acknowledging the power of the music that they did. Check out Eddie every week on the Relevant podcast and be sure to follow him on Twitter @EdwardorEddie! Most importantly, don’t forget to check out IJM.org to see how you can get involved with International Justice Movement. This entry was posted in art, human rights, justice, Music, podcasting and tagged dc talk, ijm, international justice mission, jesus freak hideout, relevant magazine, relevant podcast, world vision. Bookmark the permalink.